This rasp was found at the Saxman village in Rice County and donated to the Kansas Historical Society in 2014. 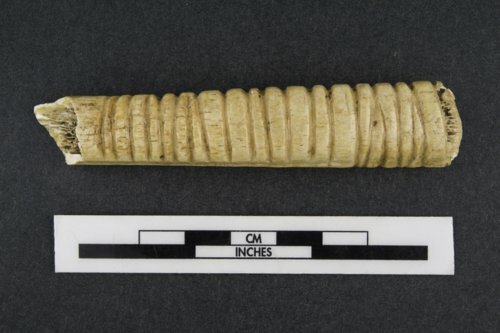 The rasp was made by cutting grooves into a deer rib. Archeologists believe that artifacts like these could have been used as musical instruments by drawing a stick across the grooves.